All electrical installations deteriorate with age and use. It is extremely important that they are inspected and tested at appropriate intervals to insure whether they are in a satisfactory condition for continued service. 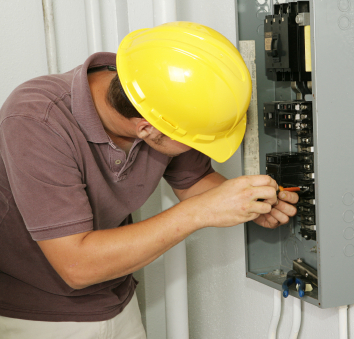 The purpose of periodic inspection and testing is to determine whether the installation is safe for continued use. All electrical installation work in the UK is carried out to BS 7671 the Requirements for Electrical Installations. We produce our Napit Periodic Inspection Reports in compliance with these regulations. At A.J. Howarth Electrics our fully qualified local Wirral & Chester electrician can provide advice on your installation, along with a quotation to carry out you electrical inspection and any necessary remedial works or maintenance. Any landlord wishing to rent a property must ensure that the properties fixed electrical wiring is in a satisfactory state of repair and is able to remain in service. The IEE wiring regulations BS 7671 state that every electrical system shall be tested before being brought into service and have an electrical safety certificate issued. If an electrical problem arises while your property is being rented out you will be liable if you cannot prove that the electrical installation was fit for service when the property was rented. 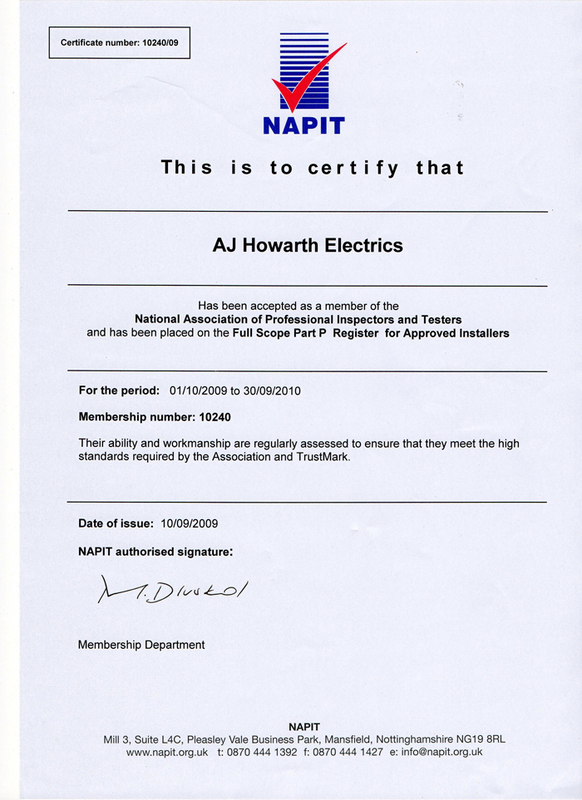 A Landlords’ Electrical Safety Certificate from A.J. 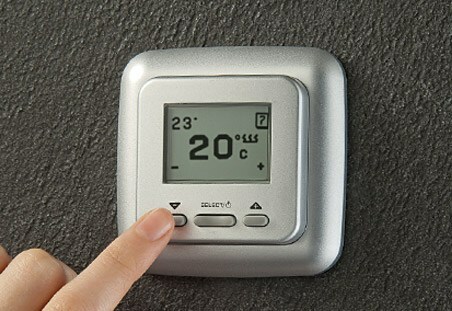 Howarth Electrics will ensure you are not to blame. A new Landlord Electrical Safety Certificate is required at each change of tenancy.